These pillowed face puzzles fit perfectly into the palm of once hands (which are not flat) These two puzzle use a new spherical core (designed by Tony Fisher) which when turning has a camera like shutter effect of opening and closing the lens in the Holey Skewb cube. 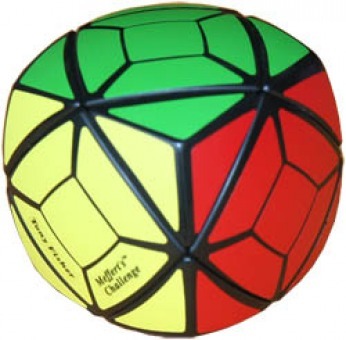 It’s a great new mechanism for our new Pillowed Skewb range. Tony very well done.